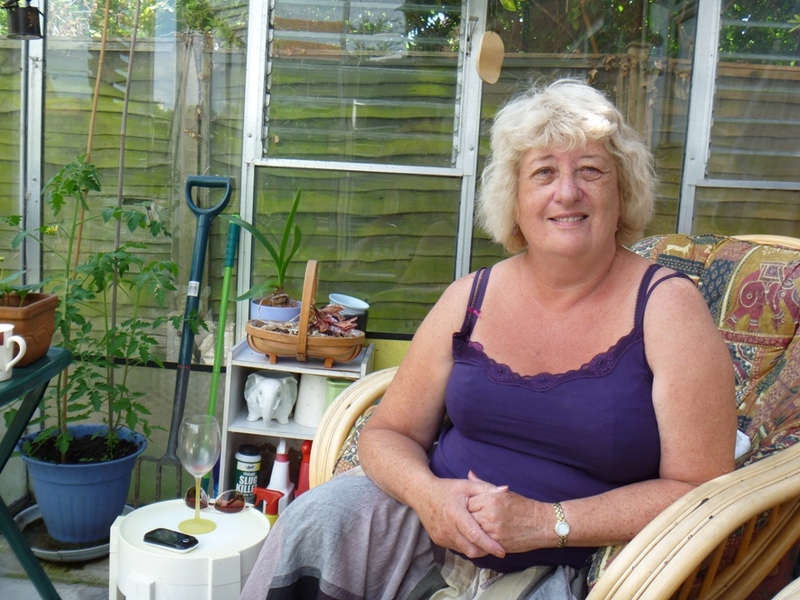 This coming Saturday will have been three years since my mum died. Time has rushed by and I can hardly believe it’s been that long. Especially as, last year, I had no time to “feel” this difficult anniversary because I was travelling around the world; this year – however – I’m feeling it very badly. 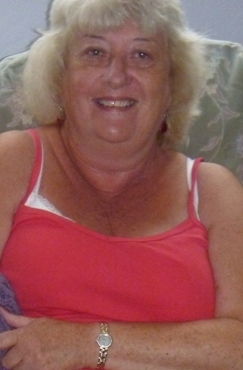 In fact, I’m missing my mum more than ever, something I never expected to happen. People told me that “time heals” and “it gets easier”, but the longer time passes from when mum passed away, the more I feel the anniversary more deeply. In the past week I’ve had panic attacks and have burst into tears…proper, full-bodied, stressy sobs…quite a lot. It doesn’t help that, because I have a vivid memory and imagination, I regularly get full-colour, 3D flashbacks of the moment she passed away, which can be very upsetting. These troubling memories often come at the most unexpected times: when I’m doing the washing up; when I’m starting the car in the morning; when I’m trying to concentrate on reading a good book; when I’m at the checkout in Tescos. Luckily, I do also get other – more positive – moments I spent with my mum that spring into my mind. And she speaks to me occassionally, especially if – apparently – she feels I need telling off about something I’m doing wrong, or if there’s a decision I’ve made that may not be helpful for my future life. So, whether she knows it or not, she’s still very much with me. All the time. And that thought of still having her near, when I’m crumpled on the floor consumed by a bout of shivering grief, gives me a supportive, loving and cosy feeling which helps bring me back to the present so I can carry on with what I’m supposed to be doing in life. Now, if you’ve lost a loved one, you may not experience the same type of grief as me, but if – like me – you sometimes miss your mum (or dad, gran or grandad) so much it makes your heart ache, then I’d like you to know I understand and that it’s more than an ok to find yourself curled up in a ball, with your stomach in knots and a feeling going through you as if the world is collapsing around you. I’m not entirely sure why this happens, but I suppose it’s simply because having a mum and dad provides that safety net of support you don’t even realise is there until it’s gone. And when it is gone, you can feel as if you’re falling and there’s no one there to catch you. Before she decided to go somewhere else, a-wandering across the universe, my mum definitely shaped my life in many ways. She taught me a lot about the world, as all good mothers should. Yours will have done too, no doubt, even if it wasn’t always a nice lesson or you didn’t even know you were learning a lesson at the time. But, when it came to m y writing, she did understand that I needed my space and time to do it, and she did read a lot of my short stories when I was younger. 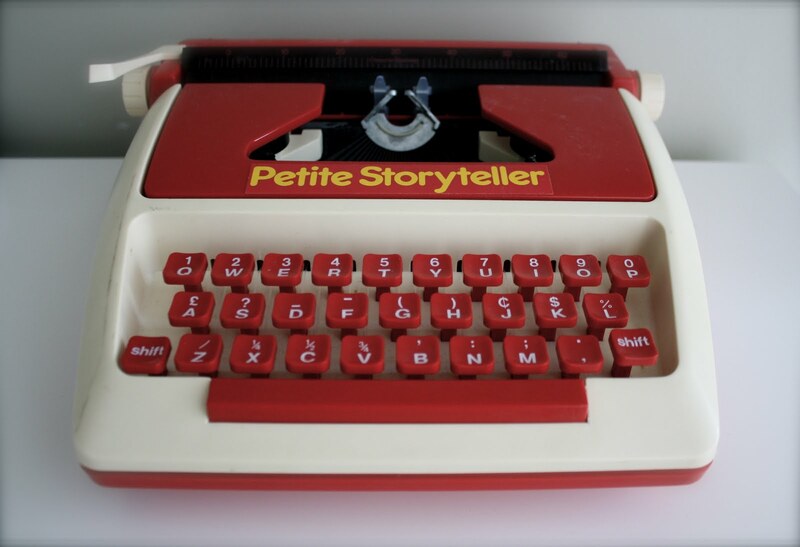 She must have known I was destined to be a writer from an early age, because she gave me a red and white Fisher Price typewriter “toy” when I was 5-years-old. I thought it was the most amazing present ever (and still do). So, she encouraged me to follow my writing dream but, importantly, she also taught me to always keep one foot in reality. 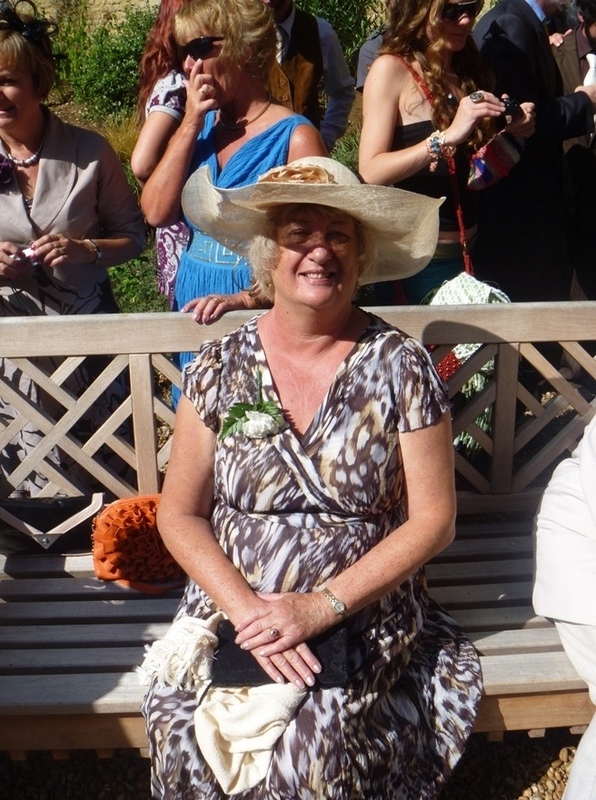 She engendered in me that, to get by in life, you have to earn money to live, eat and be able to go out and enjoy yourself (my mum was always all about treating herself, enjoying life and going out with her many lovely friends…it’s why about 200 people came to her funeral). This sounds like a commonsense thing but, you know, sometimes a writer can have a distorted or “looser” grip on reality and so they require commonsense things to be hammered home to them. Because of this, I’ve always tried to strive for my writing dreams to come true at the same time as keeping a practical and realistic approach to life…and all that it can throw at you. My mum also taught me that it’s important not to over-stretch yourself. You shouldn’t take on more things in life than you can truly handle; don’t damage your mental health because you think you want to achieve some arbitrary goal (that is actually unimportant in the scheme of life) or because other people are pressuring you to achieve a goal that you don’t want at all. Friends. Mum taught me the importance of having a group of close friends – supportive friends you can rely on, friends you can have a good time with, important friends who can help you through the hardest times in your life. My mum had so many friends that most of the time I got lost in the jungle of names and relationships she would update me about, but I always felt they all loved and cared for her, as she did for them. Try to genuinely care about other people’s lives. My mum was always thinking about other people, rather than herself – sometimes at the detriment of her own health. So she also taught me to support and inspire people in their lives whenever I could do so. This one has permeated throughout my life via all the youth work, mentoring and writing teaching I’ve done to help people succeed. Stand up for yourself in life. An important thing my mum taught me. It came in especially handy because I was bullied a lot at school, so my mum (along with dad) tried to show me how to be strong…how to take no crap from people who want to put you down (usually because they feel down themselves). The thing is, with this lesson, mum didn’t teach this in a straightforward fashion, it was more done by “osmosis”. See, my mum had a strict, guiding streak to her that often made it clear to me I was in the wrong or other people were (in her – very perceptive – view of right and wrong). Experiencing this streak was like hitting a wall: it would stop a type of behaviour in me, so I’d look around for another, better way to deal with a situation. And this approach to guidance with me permeated into inner strength, and often meant – if someone was trying to undermine me at school – I’d “copy” this strong streak to protect myself and fight back. Make sure you enjoy your food. That was another of my mum’s mantras. 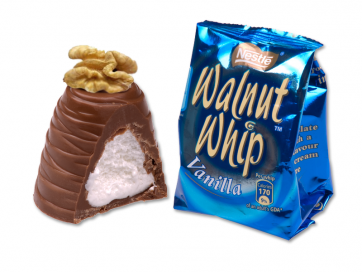 Her favourite food was, probably, walnut whips. She absolutely loved them. Not exactly a healthy choice, but mum taught me to enjoy all kinds of food as much as possible, whether that was a roast dinner on a Sunday, an afternoon cake in a cafe, or trying new food when abroad. Coming from a working class background (my mum grew up on a council estate on Portland in Dorset), our family didn’t always have the money for expensive family food, but mum always tried to make homemade food. I miss her chicken stew, potato-bean pies, and her apple crumbles. Gardening and being outdoors. Yes, indeed, these are things my mum (and my grandad) encouraged me to do. Mum knew the importance of a long cliff-side walk, fresh air and of working hard to nurture a growing garden. So, ever since I was little I’ve loved growing plants and flowers and, any time I can, I like to go countryside walking. Because, after all, being out in the world is part of what life is about. Mum did, of course, teach me many, many more things than just the ones I’ve highlighted here, but – on this anniversary of my mum passing away – I wanted to write something positive to remember her by…at the same time as acknowledging this is an upsetting day for me, my brother, family and all mum’s friends. If you’ve lost your mum or anyone else close to you, and are reading this and going through something similar, then I send you my love (and big hugs) and hope that you have someone to look after you at this difficult time. The best and most supportive friends, partners and family will help you fill the void – that people like my mum have left – with love. My beautiful girlfriend Amy does this for me, so I hope you – like me – have someone and that you find a quiet moment to remember and reflect upon what lessons your mum, dad, brother, sister, gran, grandad or friend taught you about life, the things that helped shape you as a person. And, when you think about them, if you need to, cry.